Jits. Magazine has been around for about 7 years now, and Jits Shop has been around for more than 4. But in all that time, they have never been involved in a Gi project... until now. 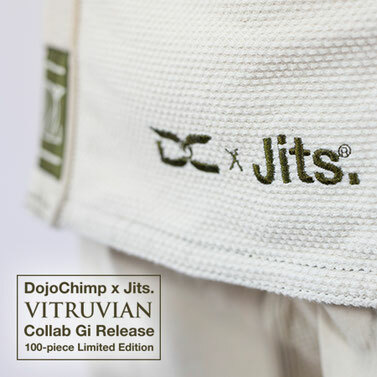 After a lot of careful consideration and calculated planning and development, DojoChimp partnered with Jits. Magazine on this exciting limited-run Gi project, inspired by all things Leonardo Da Vinci. 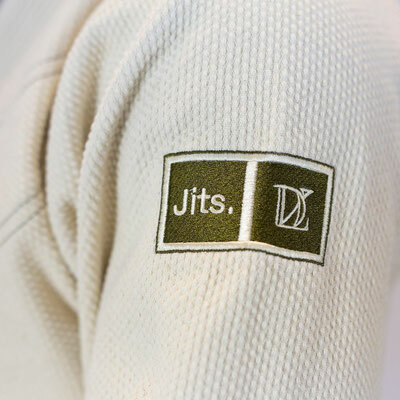 We were pretty excited at the prospect of working with Jits. Magazine on this project. The crew over at Jits. Magazine considers DojoChimp to be a boutique Jiu-Jitsu brand, focused on developing and producing super high-end Jiu-Jitsu goods (even though they are not really priced at a premium). 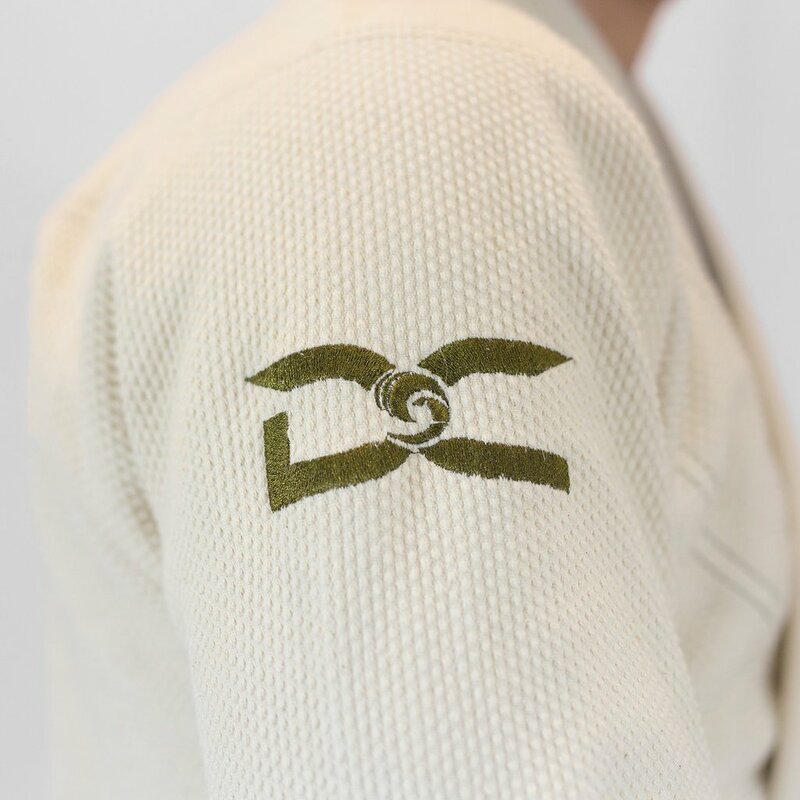 We worked in painstaking detail on the design and function of this piece, to create something that we feel is special and unique; something that we ourselves would want. And since this is a tiny batch art project, just 100 pieces were made. 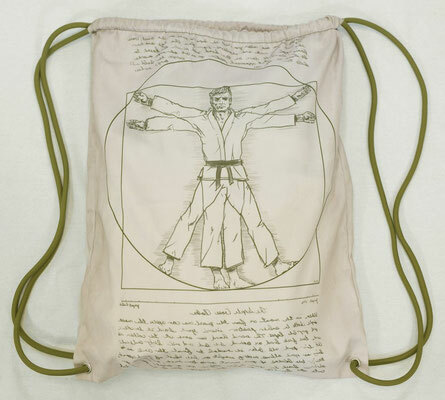 With interior artwork that features an illustration piece commissioned from one Jiu-Jitsu artist, Phil Lietz, this Gi pays homage to Da Vinci's famous sketch of the Vitruvian Man, depicting the ideal human proportions, which he based on the writings of the ancient Roman architect, Vitruvius. As we know all too well from our daily training, the physics of Jiu-Jitsu puts human geometry to optimum use, which is why we are sure that Da Vinci would have certainly developed a love for the Gentle Art if he had been living today. 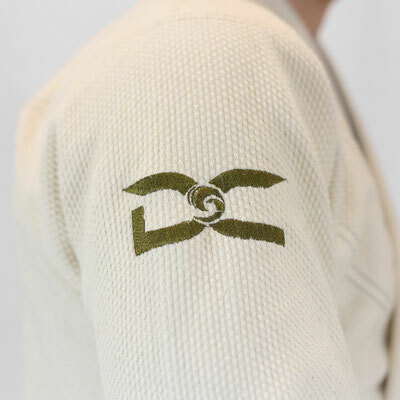 We poured our creative efforts into the nuanced detailings that make this project special, and ended up with a Gi that is both a pleasure to look at and more importantly, a pleasure to wear. 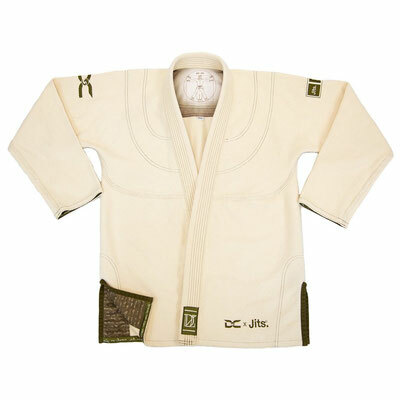 The jacket is light-weight, with a super solid construction. 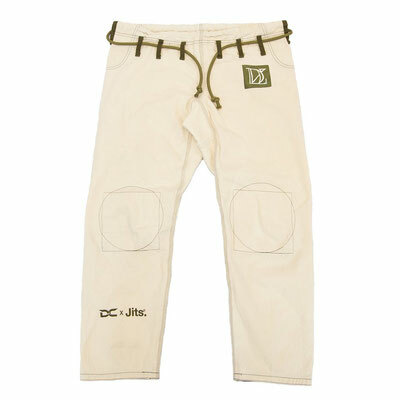 The pants will outlast us all. The modern, perfectly-cut DojoChimp fit rounds it out. Produced in an unbleached, raw cotton with olive brown accents to match the colors of Da Vinci's original sketch, this special edition Gi gives a nod to one of the most inspirational thinkers in history. 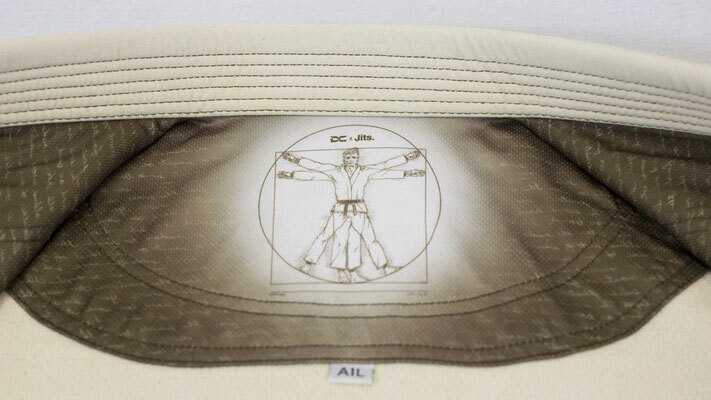 We hope you enjoy using the special edition Vitruvian Gi as much as we enjoyed developing it!